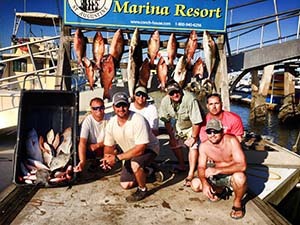 Come enjoy a once in lifetime fishing experience! 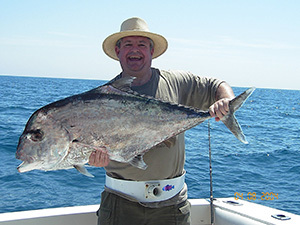 We provide all the Fishing Bait, Tackle and Licenses, so you can relax, enjoy the ride and catch fish! Oh Yeah, Lots of Fish! 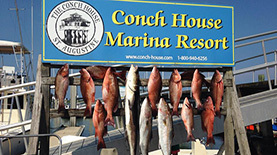 St. Augustine Charter Fishing doesn't get any better than this. 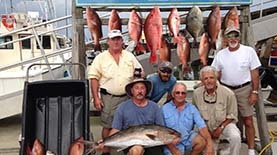 The Knot Tied Down and her crew are your ticket to a great offshore charter fishing experience. 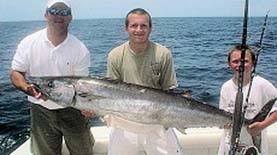 We have some of the best fishing in Northeast Florida, let us show you "where the fish are!" 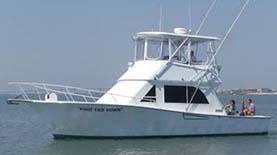 Owned and operated by Captain Jerry Butler, The Knot Tied Down is a 41 foot Sportfisher with a large comfortable fishing area. Enjoy Sport Fishing in comfort with air conditioning, microwave, refrigerator and an enclosed head. 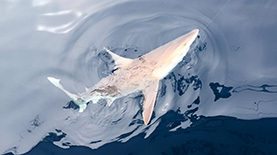 We want your charter fishing trip to be fun, memorable and safe. We know where the fish are and how to get them on the line. Let's go fishing and catch the adventure of your lifetime! 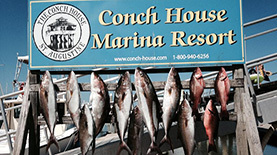 The Knot Tied Down Fishes out of the The Conch House Marina Resort located at 57 Comares Ave, St. Augustine, Florida. Click Here for Driving Directions. 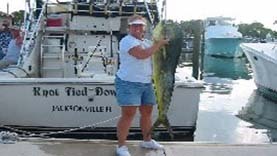 Knot Tied Down Fishing Charters is a family owned business with over 30 years experience in fishing off the North East Florida Coast and our mission is to provide you with the best in Offshore Fishing. You will have the full attention of the Crew to assure you have a safe and enjoyable day. Whether it's Kingfish, Dolphin (Mahi Mahi), Vermillion or Red Snapper, Grouper, Big Bull Redfish, Triggerfish, Tuna or the biggest of game fish like Sailfish or Marlin, the Knot Tied Tied and her crew are your ticket to an unforgetable charter fishing trip. To catch the best, you gotta fish with the best. Visit our photo gallery or Facebook page for just a sampling of the hundreds of happy anglers that have chartered the Knot Tied Down. 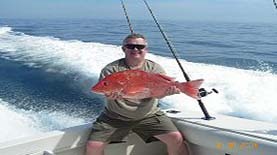 Check out the fishing photo gallery to see just some of the fish we have caught on Knot Tied Down Fishing Charters. 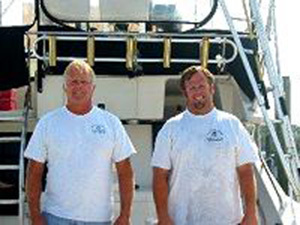 The Knot Tied Down charter fishing vessel is Captained by Captain Jerry Butler, Sr. and Captain Jerry Butler, Jr. Join us We're Charter Fishing in St. Augustine 7 Days a Week! We do not charge additional fuel charges.